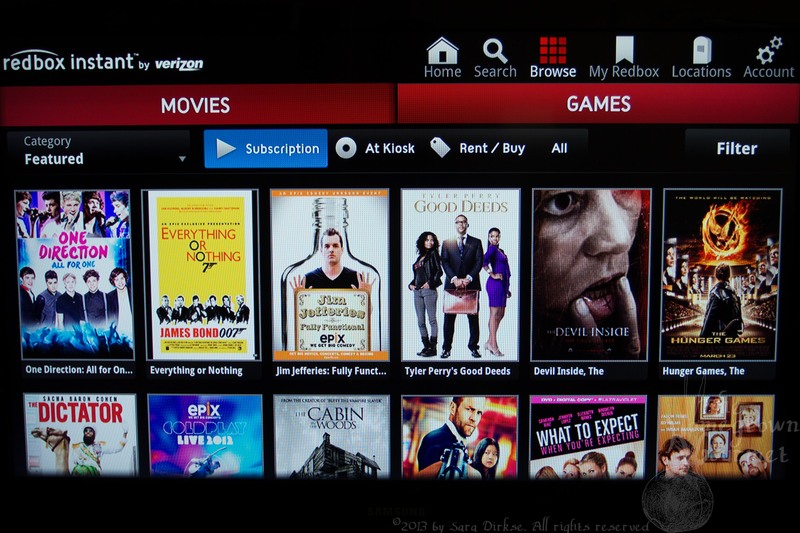 Have you ever spent 30 minutes combing through multiple streaming video apps, trying to decide on something to watch? Me too. And apparently, we’re not alone. At OTT-con, we heard a lot about this particular challenge from Jeremy Toeman, CEO of Dijit. He called it the “Chinese restaurant menu effect,” where we have so much to choose from that it becomes a burden. 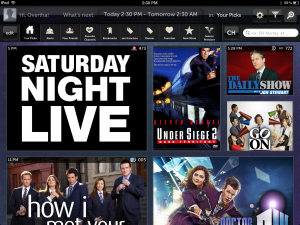 Dijit aims to solve this with NextGuide, an overhaul of the traditional TV guide that combines live and on-demand content into a single place. 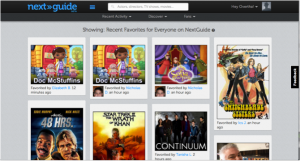 NextGuide started as an iPad app, and released a web browser version last month. The browser version is still in beta (you can sign up if you’re registered on the iPad app) and it appears there are still a few things to be ironed out, but in general both apps work well. Like the earlier discovery apps, NextGuide lets you browse a bunch of sources in one place. When you pick something, it automatically launches an app (or website, in the case of the browser version) and starts playing the content. This worked solidly on both the iPad and web versions for me, and with none of the Netflix playback issues we noticed with Fanhattan. Dijit’s recommendations go a step further than any other app or service I’ve yet seen. They work on an episodic level – meaning, you get recommendations for a specific episodes rather than the whole show. 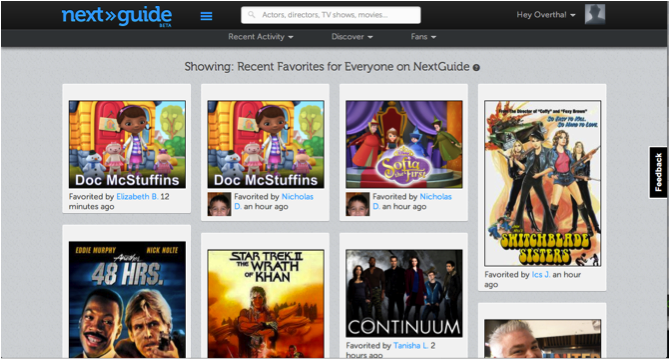 Here’s how it works: You set customized categories based on your interests, location, favorite actors, and so on. 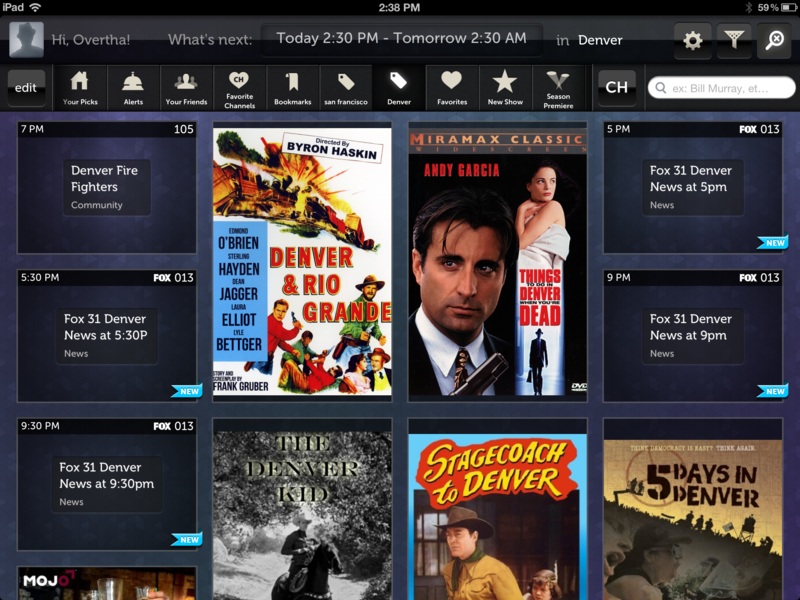 Then Dijit combs through all the content it can see to identify episodes that might be of particular interest to you. The iPad app has a section called “Your Picks” that highlights the top recommendations for you, but I was only interested in about 10% of the titles it gave me. To be fair, I didn’t give it a lot to work with: Dijit takes into account shows that you’ve “liked” on both Facebook and NextGuide, and uses these to fine-tune recommendations. It also lets you edit the “My Picks” section to veto things you don’t want to see. The content is organized into a bunch of different categories, like “Denver” or “Sports,” which you can customize and browse through by selecting the icon at the top of the page or swiping right and left. 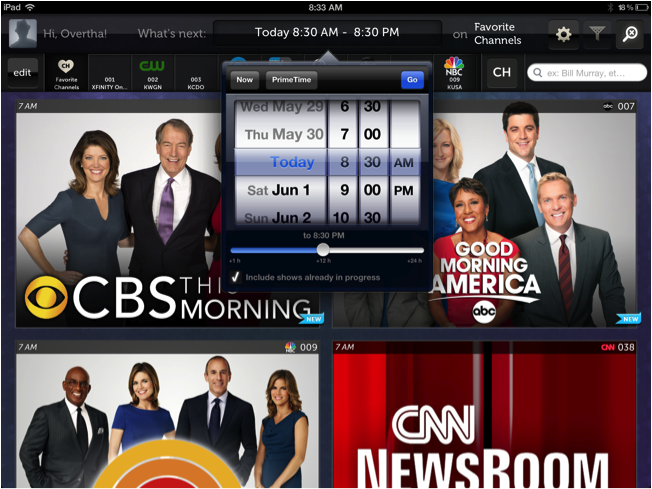 You can choose the sources of content, and even select favorite channels in your live TV lineup. But one thing that is notably missing is a separation between Amazon Prime and On-Demand content — it’s all combined, and my recommendations list fills up with a bunch of titles that I have to pay extra to see. One more button on the content filters would do a lot to help this experience. On the iPad app, content is organized in a series of screens that you can flip through by swiping or tapping the icons at the top. It defaults to a section called “Your Picks” that combines all of your recommendations, and if you want to see content related to a particular interest or genre you just head to that section. 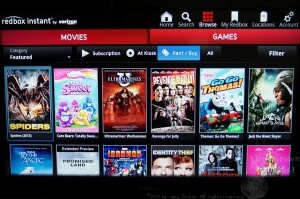 It also includes some other features beyond the typical content discovery mix. 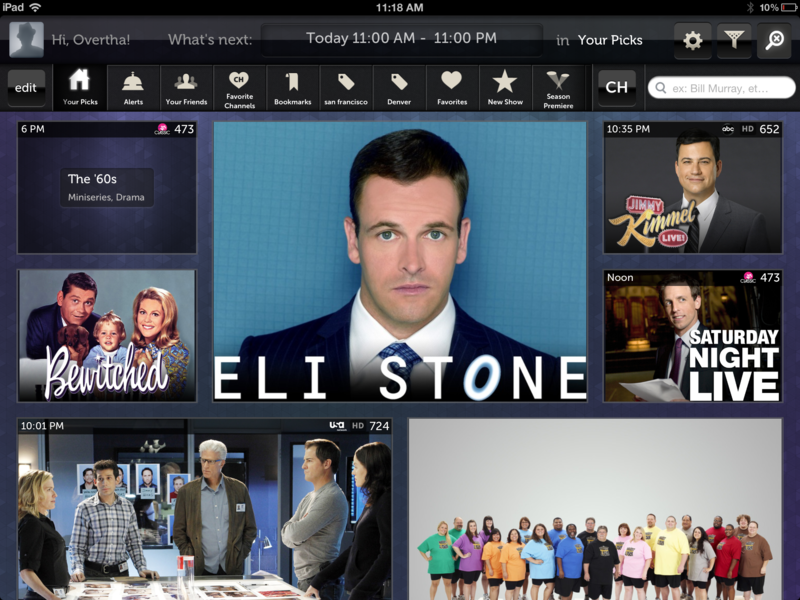 Last month, it added USA Network’s “USA Sync” technology, which uses ACR (Automatic Content Recognition) to recognize the content playing on your TV and bring up polls, trivia, and cast information on your iPad. This feature only works with a few USA shows that this point, and only when they’re playing live – when I tried to test it at home with Burn Notice via Slingbox, the short delay (~10 seconds) was enough to make this feature not work on either NextGuide or the USA app. This would be so much more useful if it behaved more like Yahoo’s IntoNow app, which recognizes content whether it’s live, timeshifted, or on-demand. There were a few things specific to the iPad app that bothered me, after quite a few hours of using it. Like that it’s far too easy to accidentally switch categories while trying to scroll down. 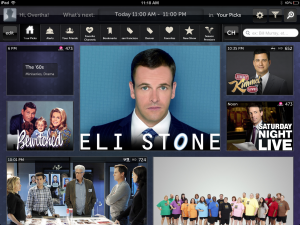 And the iPad app defaults to displaying 12 hours worth of content, so at first glance it was a jumble of shows with daytime television alongside 11 p.m. listings. 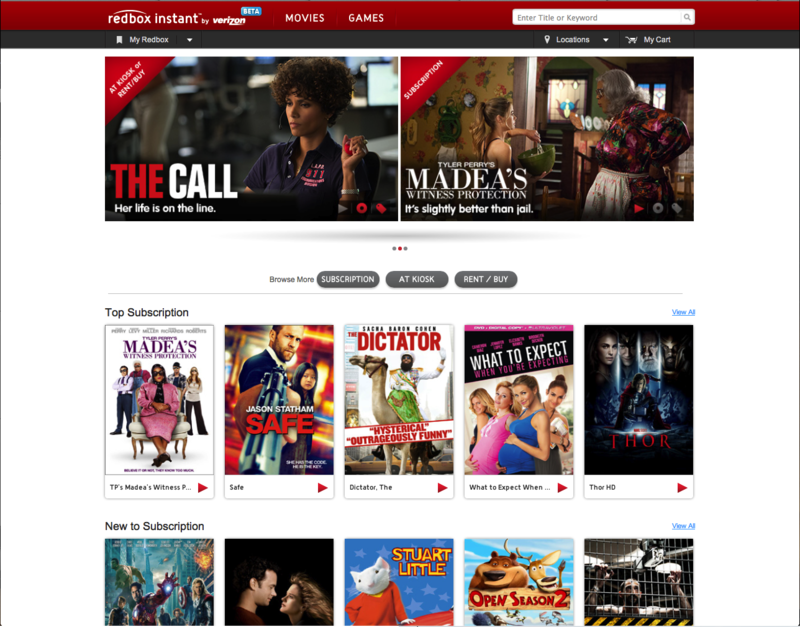 There are some discrepancies between the two interfaces – the website doesn’t display a “Your Picks” section, only favorites from the entire user base. And it allows you to add things to a “Watchlist,” but this same list is called “Bookmarks” on the iPad app. The web version is still in beta, so we’re guessing these inconsistencies will be ironed out before the official launch. Final assessment: NextGuide is an app on a bit of a learning curve, with some minor inconsistencies that should be worked out – but it shows a lot of promise. 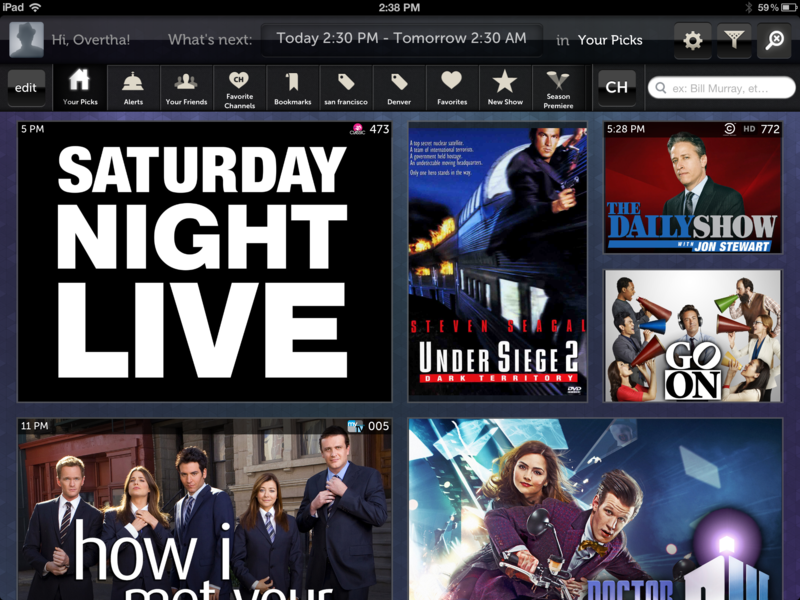 However: We’re still waiting to see one of these discovery apps make the jump to the big screen. 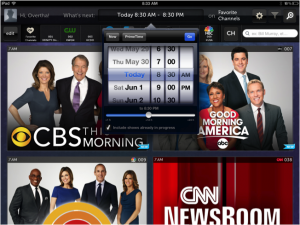 Somebody tell me: How long until I can use my iPad to cue up content on my Roku? And will we see a NextGuide app popping up on some of our devices in the lab – or a white label version of if? I hope so, but only time will tell. Your 2013 Cable Show Tech-Talk Decoder Ring! It’s Cable Show time again, so it’s time to sift through this year’s grab-bag of tech-speak. Always a gas! Let’s start with The Gig. In sessions, in “The Observatory” area of the show, and likely in news, you’ll be hearing about Gigs. Funny thing about the Gig: It’s a unit of measure, yes, but in cable, it carries three distinctly different meanings. One involves speed, one involves storage, one involves capacity. Back to basics: “Giga” means “billion.” It comes after “Mega,” for million, and before “Tera,” for trillion. So whether you’re talking speed, storage or capacity, Gigs are big. 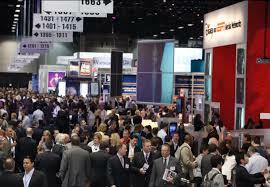 Gig-wise, what you’ll be hearing about at Cable Show is speed. Gigabits per second, specifically. Synonymous with billions of bits per second. But! The Gigabyte is a unit of storage. Bits and bytes are different; rule of thumb is, there are eight bits in a byte. Gigabytes come into play when talking about how big something is to download. And then there’s the GigaHertz (GHz) – a measure of capacity. Most cable systems are built to top out between 750 MHz and 1,000 MHz, and 1,000 MHz is the same as 1 GHz. Another chewy set of intertwined topics sure to unfold in DC: The cloud, versus the gateway. Does one (cloud) ultimately supplant the other (gateway)? 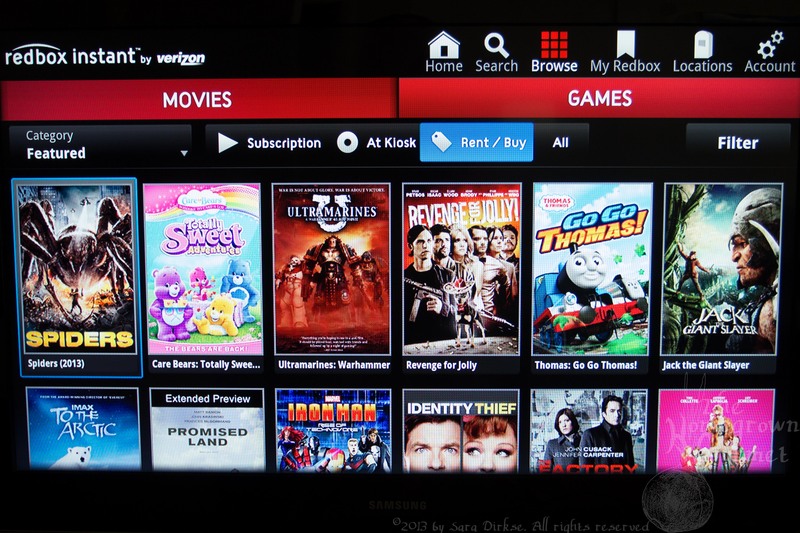 Putting video in the cloud – which also goes by network DVR, although the two have subtle differences – is a hot topic because it’s a great way to keep stuff consistent, one screen to the next. In tech talk, that batch of activities is known as “preservation of state” – “pause” is a state, for instance. So is “play,” when you resume. In the fullness of time, “gateways” will persist as the thing in the home that exists to do the things the cloud can’t yet do, or isn’t as good at doing. Like pausing live TV, for instance. Buffering locally, so far, works better than buffering in the network. As you wander the show floor, you’re likely to see signage and demo-buzz about “RDK,” which stands for “Reference Design Kit.” It’s not the easiest thing to wrap the head around, because it happens at the intersection of silicon, and standards. 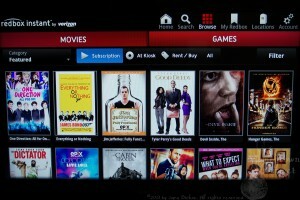 It started out as a Comcast thing, but is expanding to other MSOs. Something like 20 RDK constituents will be showing their stuff this week. People involved with RDK like it because it shaves time from how long it takes to get new hardware and services to market. It shaves time because it eliminates the repeating labyrinths of regression testing that occurs, as a device moves from chip to manufacturer to MSO to service environment. Close to 50 companies will be exhibiting for the first time this week – on the tech side, companies like LG Electronics (connected devices), DigitalSmiths (search and recommendation), Qwilt (OTT traffic management), and Ruckus Wireless (“wickedly fast wireless.”) My personal favorite NCTA newbie, as a beekeeper: Beesion, which apparently does business support systems. I like the honeybee in the logo. Parting thought: Take a moment to think through how much effort goes into putting on an event as big and multi-faceted as Cable Show. Be sure to thank any NCTA people you see. They’ve been working their brains out. For bandwidth people, hardly anything is a surprise anymore. Not even that 50% and higher rise in broadband usage, year after year after year, since about 2009. Not even when they realized that nothing has ever grown that fast, and for that long, in the history of consumable goods. It’s because of all of our Internet-connected stuff, of course, and how much we’re using those screens to create, ship, download and stream video. Video is the undisputed fat man of the Internet. Cisco reconfirmed the trend last week in the latest installment of its Visual Networking Index (VNI), a recurring study that tracks what’s going on with Internet usage. The report covers tons of ground, with numbers so big they’re hard to conjure. The Super Bowl problem, from a bandwidth perspective, has two parts: One, what if everyone tunes in all at once? Two: What if everyone pauses all at once? “Everyone,” when it comes to the Super Bowl, was 108 million people this year. They all saw the game, on their small, medium, and super-large screens. So what’s the problem? It’s the “Internet-connected” part. See, of the 108 million, only 3 million saw the game as an online video stream. Which brings us to the lingo of video distribution, tweaked for online usage: Multicast and unicast. Refresher: In the good old days (meaning today), to broadcast is to send one to many. Whether one person watches the game, or 108 million, doesn’t matter. In bandwidth terms, it’s all the same. The Internet doesn’t work that way. It’s intrinsically many to many. When you stream House of Cards on Netflix, other people might be streaming it at the same time, sure. But how it works is called “unicast.” One stream unicast to me, another to you, another to Harry, another to Jane. Nailing up enough bandwidth to unicast 108 million unique streams is both a horrific waste of bandwidth, and a great way to buckle the system. Multicasting to 108 million screens is non-trivial, in engineering-speak. Computationally intensive. Getting there involves work on everything from cloud to protocols to servers to routers to devices. It’s about making sure that video cloud has enough intelligence to recognize a URL with multicast headers, then making sure enough “multicast join” mechanisms are in place. And lots more. 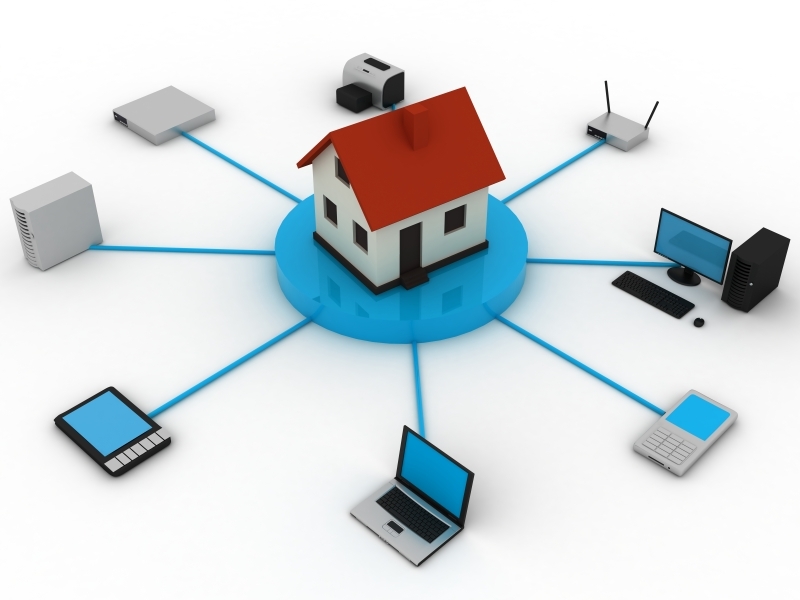 From the multicast stream to the gateway, streams can be unicast to the other devices in the house that want a look. That way, the buffers needed to pause are in the house, not in the network. Imagine building a buffer big enough for 108 million pauses!